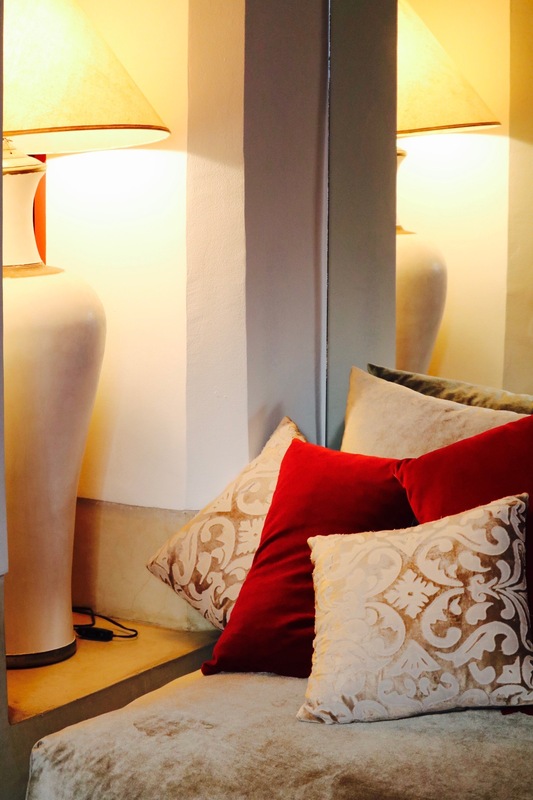 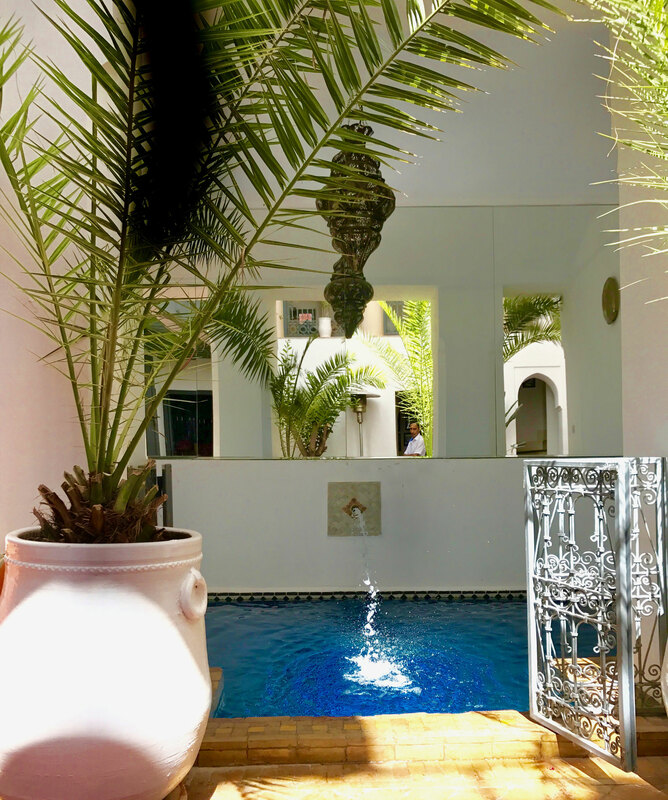 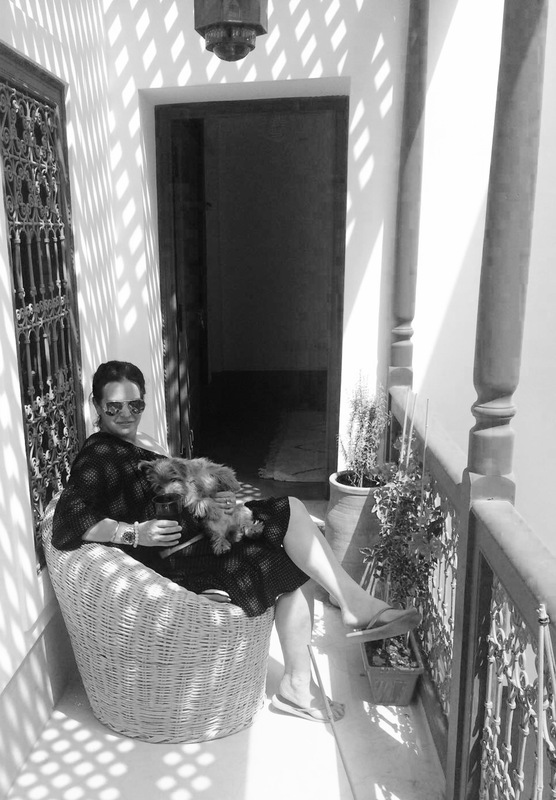 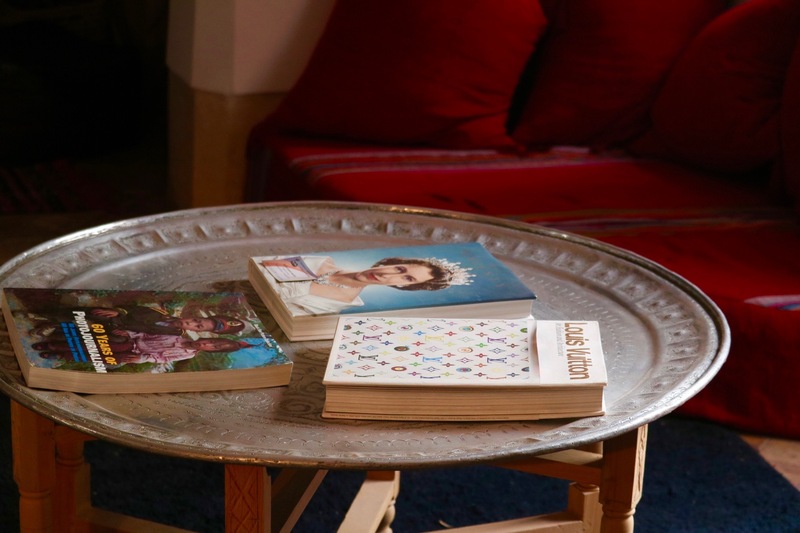 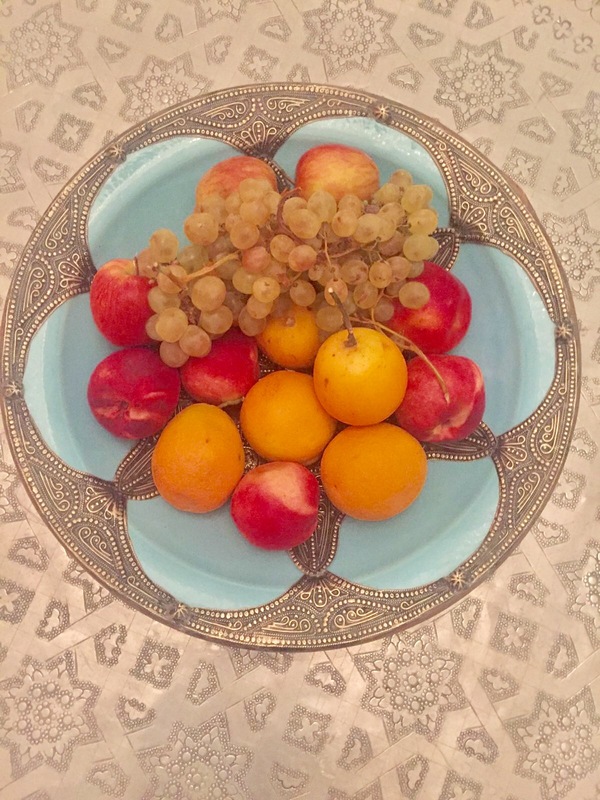 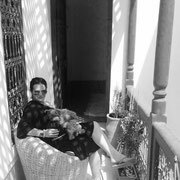 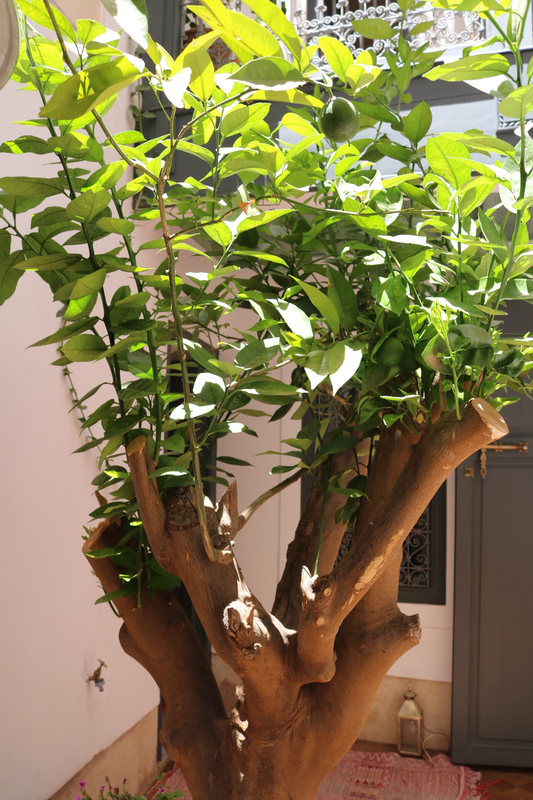 Sirocco d'Amour (sirocco is the hot wind from the Sahara and d'amour is of love) is an authentic Marrakesh Riad boutique hotel designed by one of Belgian's top architects ­Quentin Wilbaux. 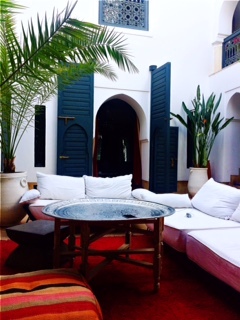 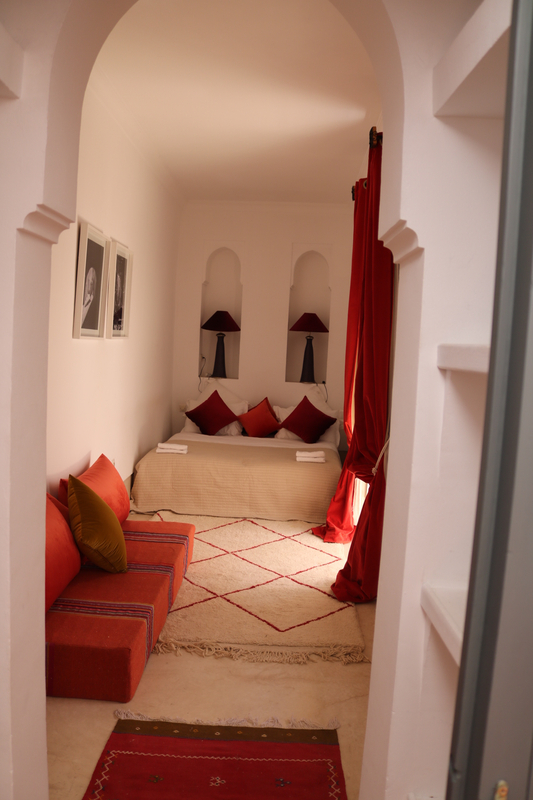 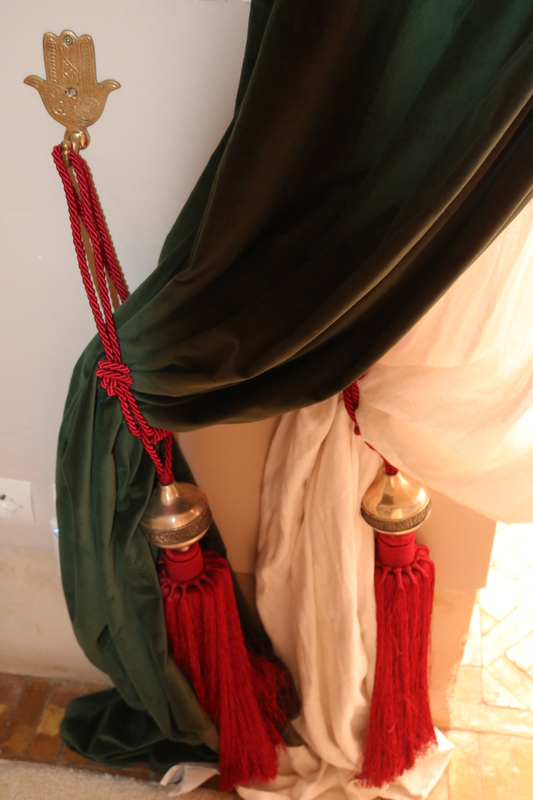 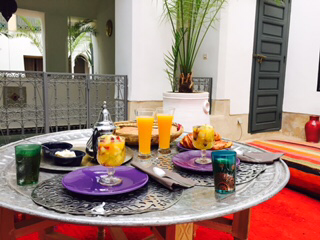 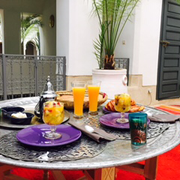 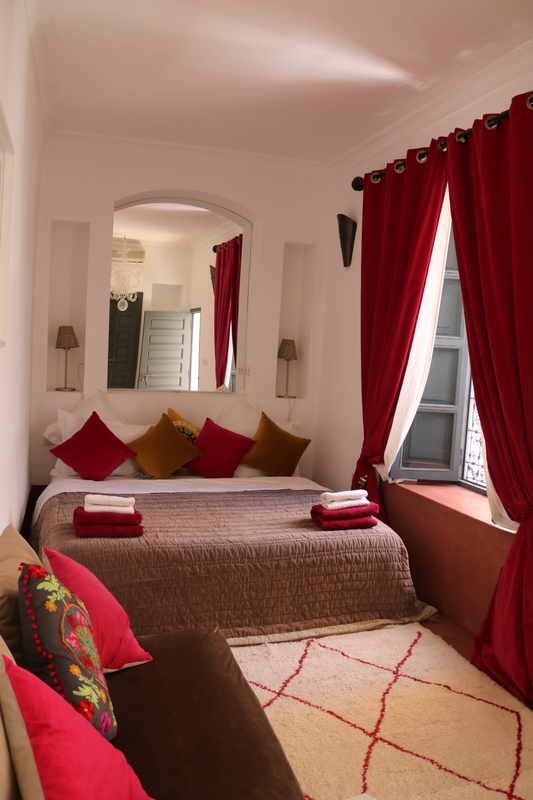 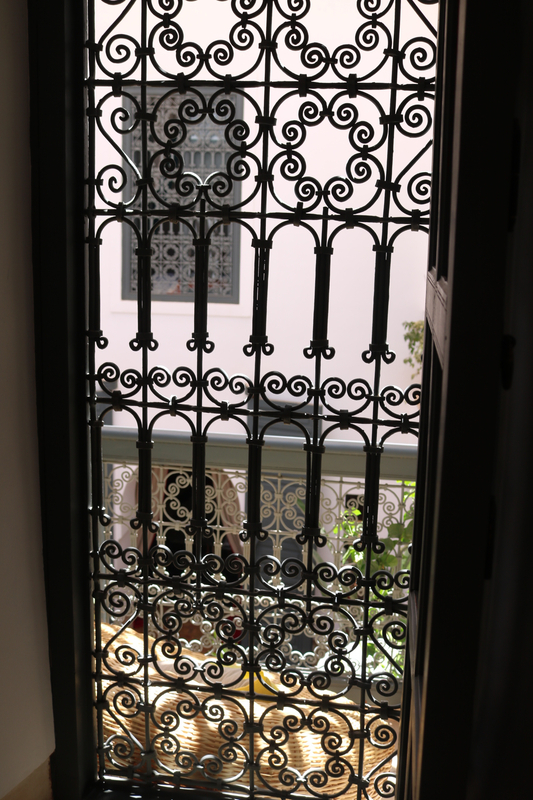 Your authentic Riad awaits with a swimming pool, roof terrace with Bedouin tent, 5 gorgeous bedrooms and stunning sunsets over the Medina. 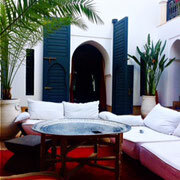 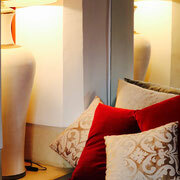 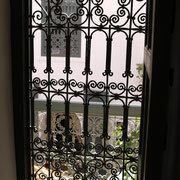 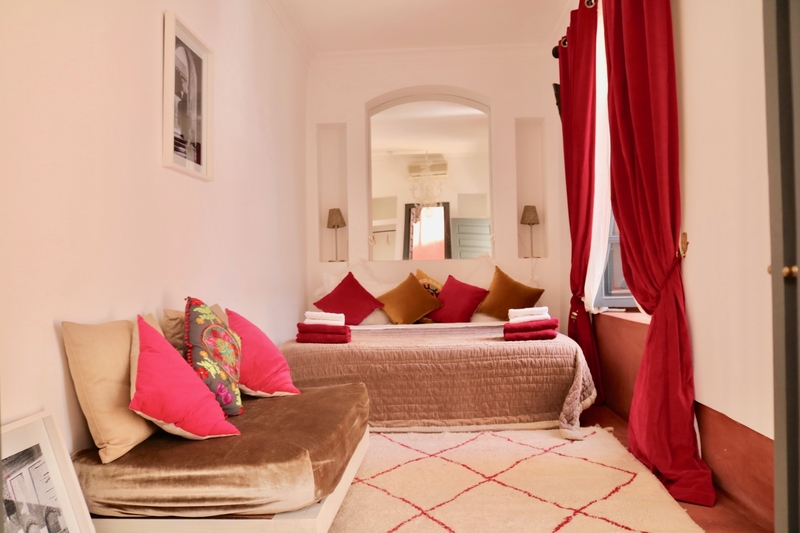 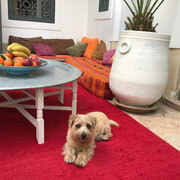 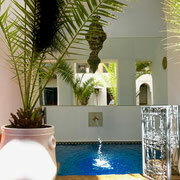 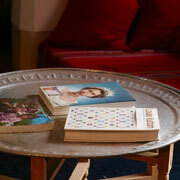 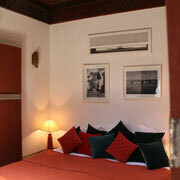 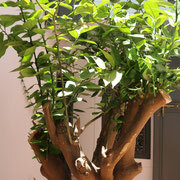 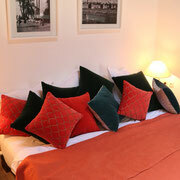 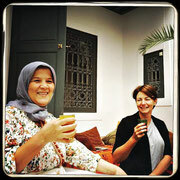 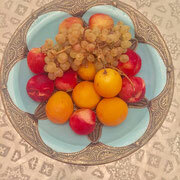 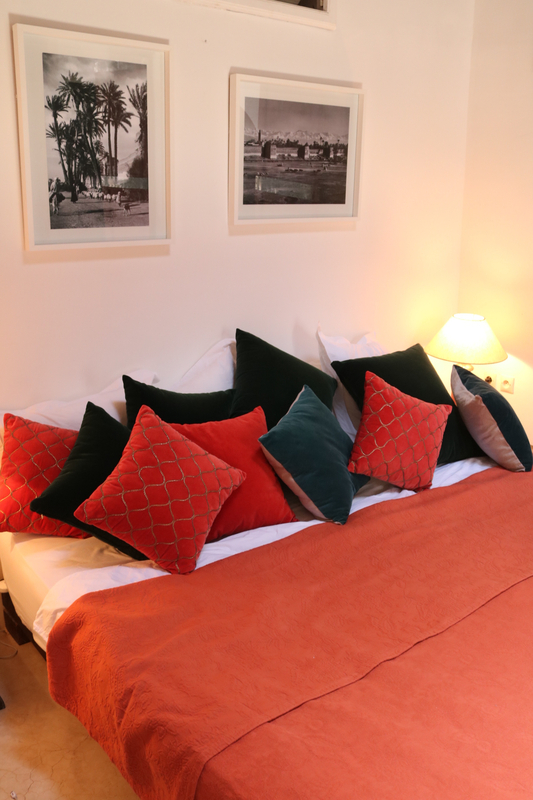 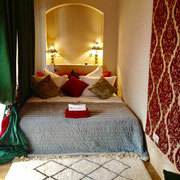 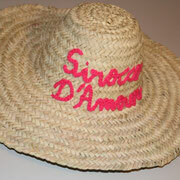 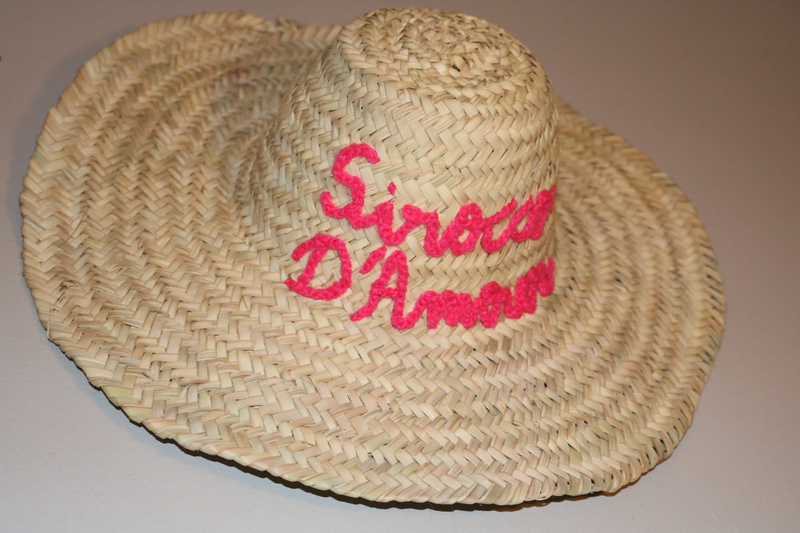 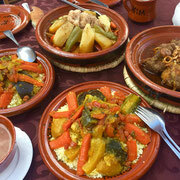 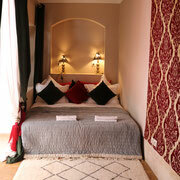 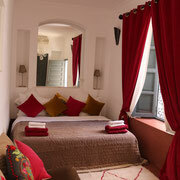 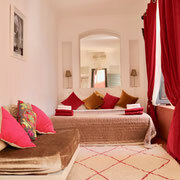 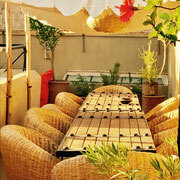 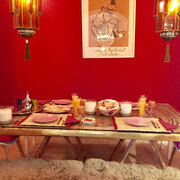 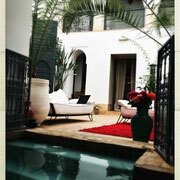 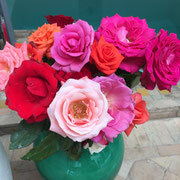 Sirocco d'Amour is in an oasis of calm, in a cul de sac of winding alleys near Museè Boucharouite. 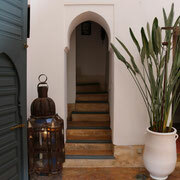 This was originally the old house of the Kadi ("Judge") from centuries ago. 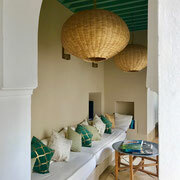 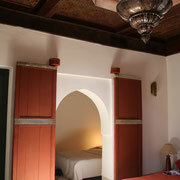 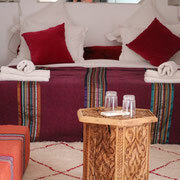 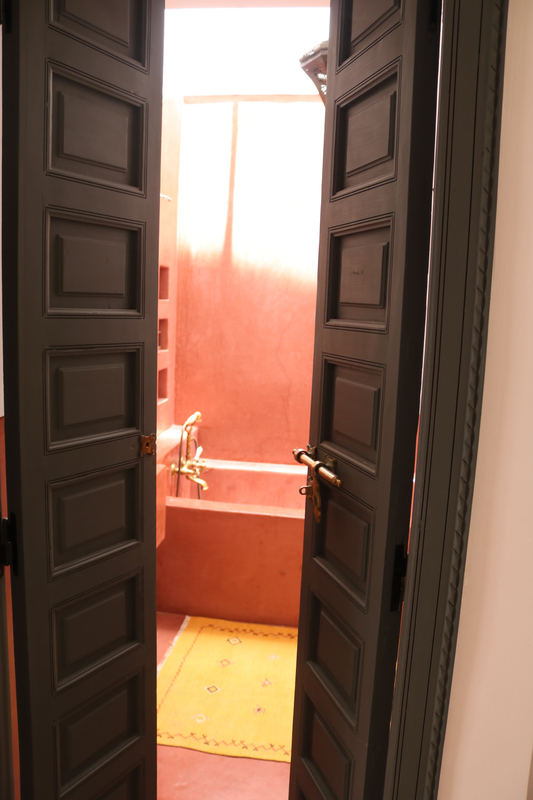 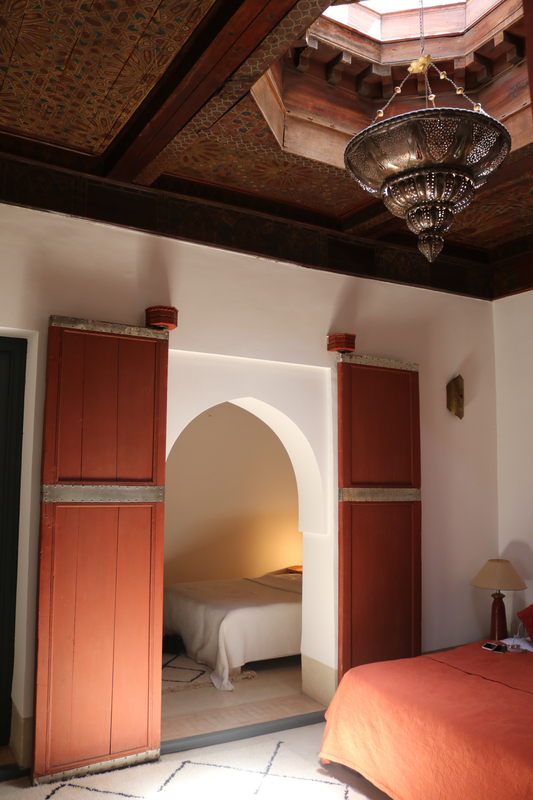 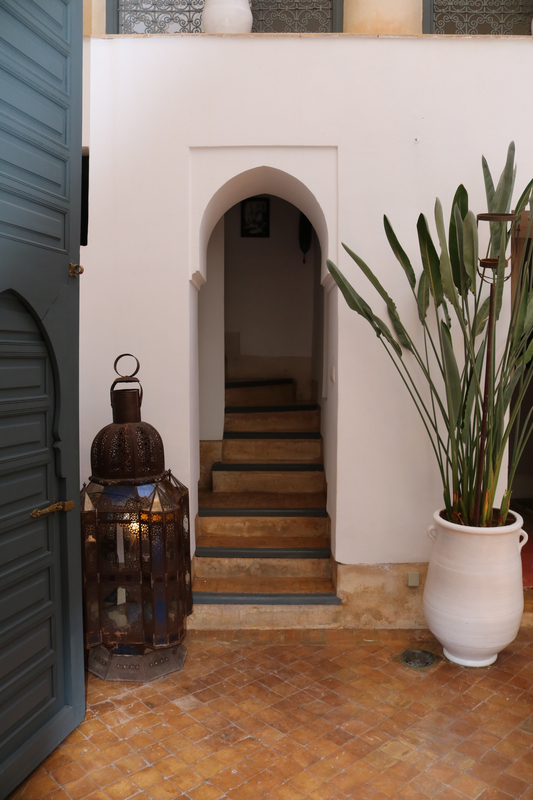 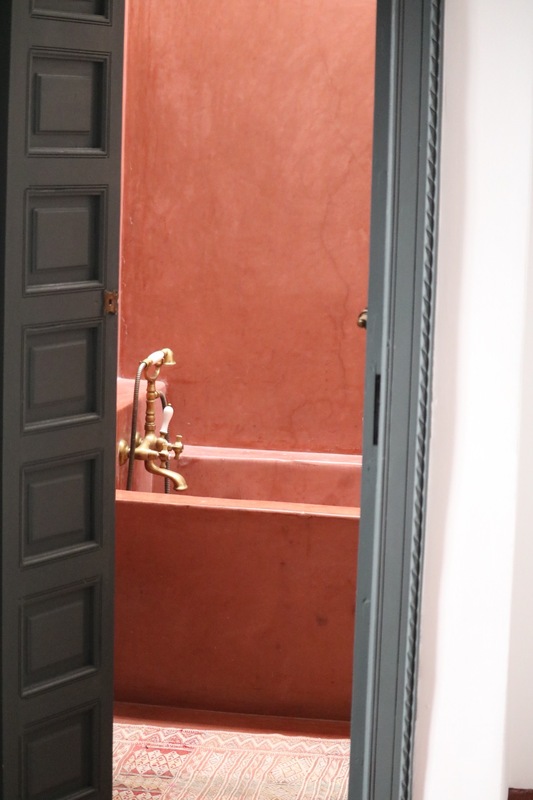 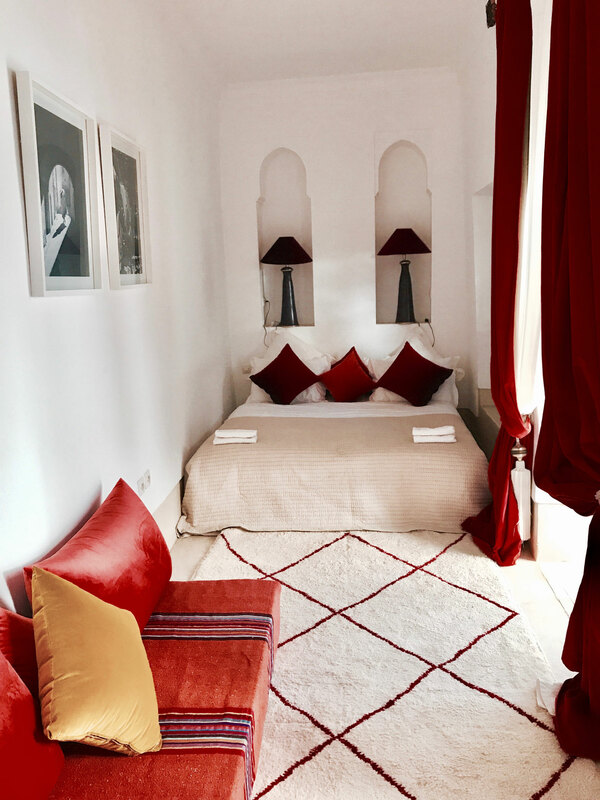 The riad is in classic Moroccan style with soft terracotta tiling ­married into a classic plaster and tadelakt decor ­and a mix of beldi bathrooms and rustic wooden ceilings. 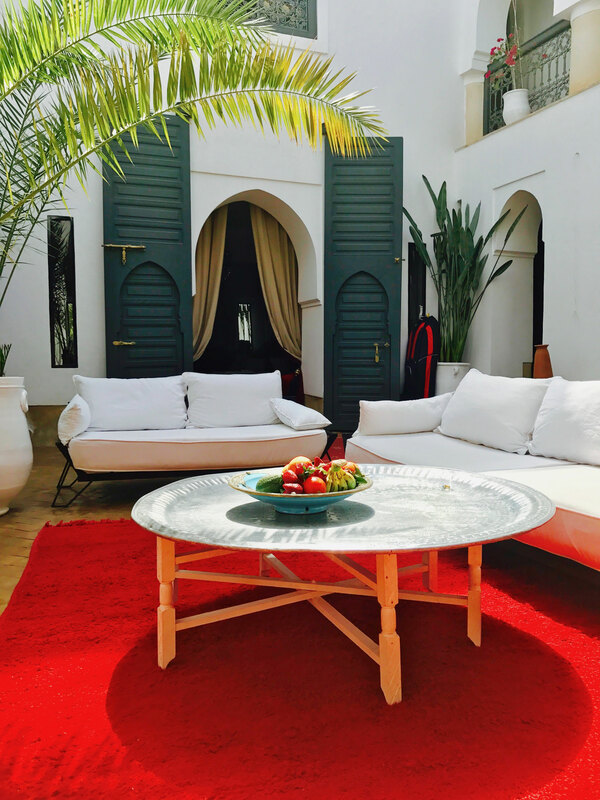 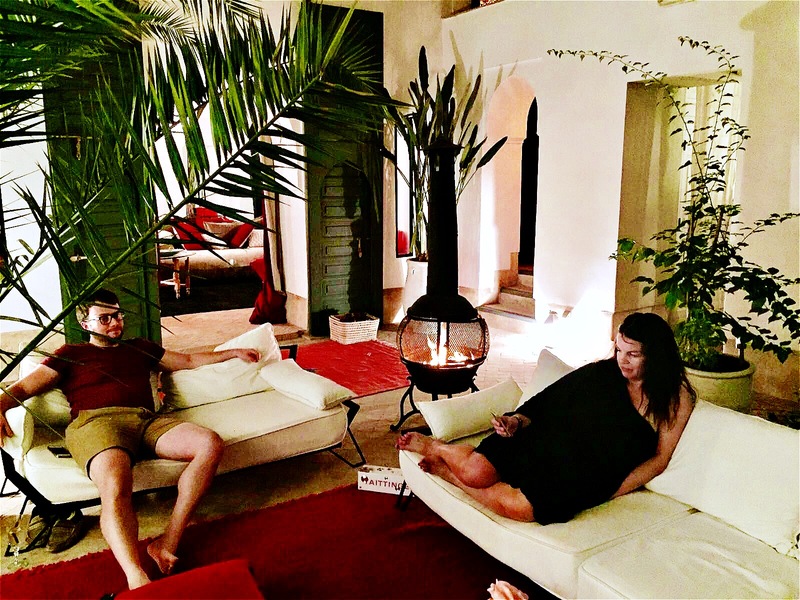 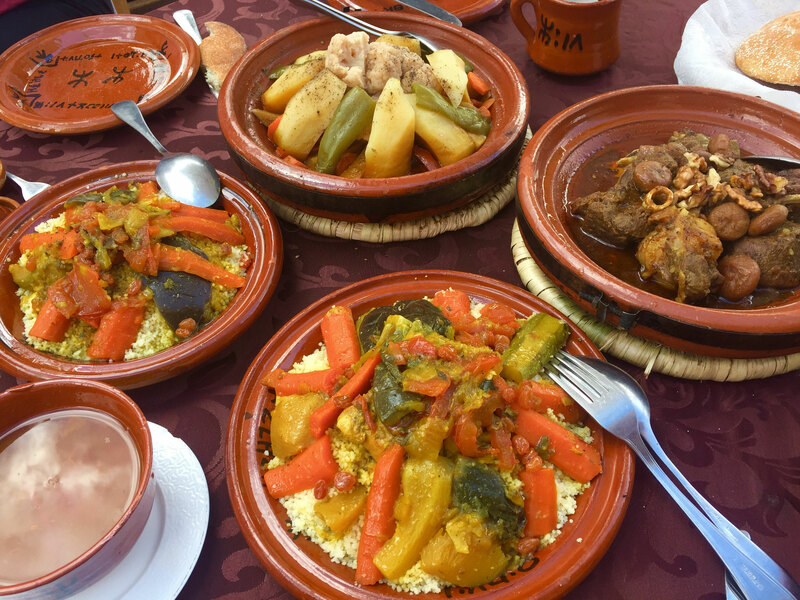 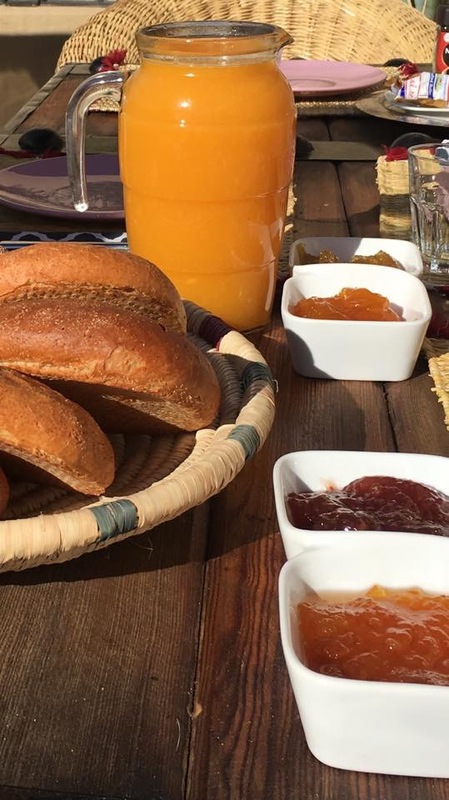 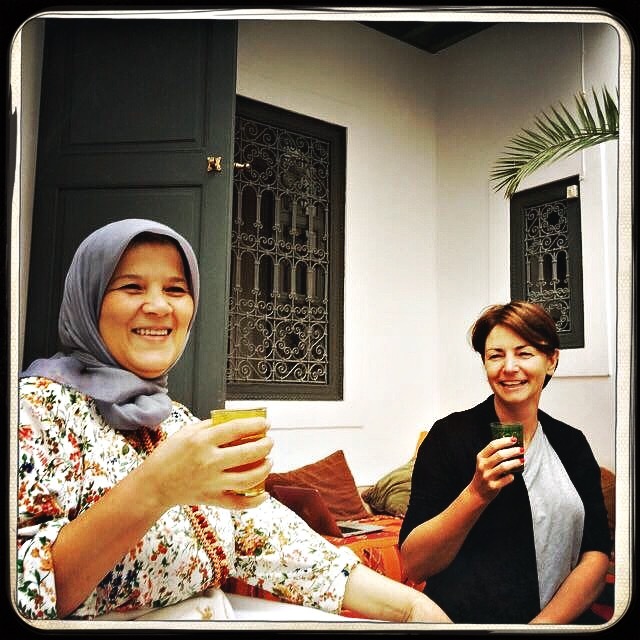 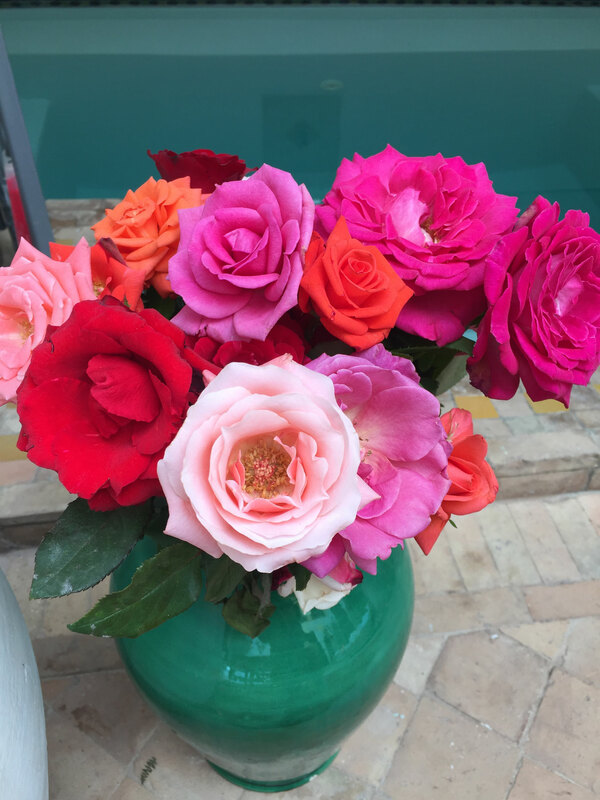 It is simple in design and taste and allows you to rest, relax and seize the sights and sounds of Marrakech all year round, whilst giving you a sense of serenity. 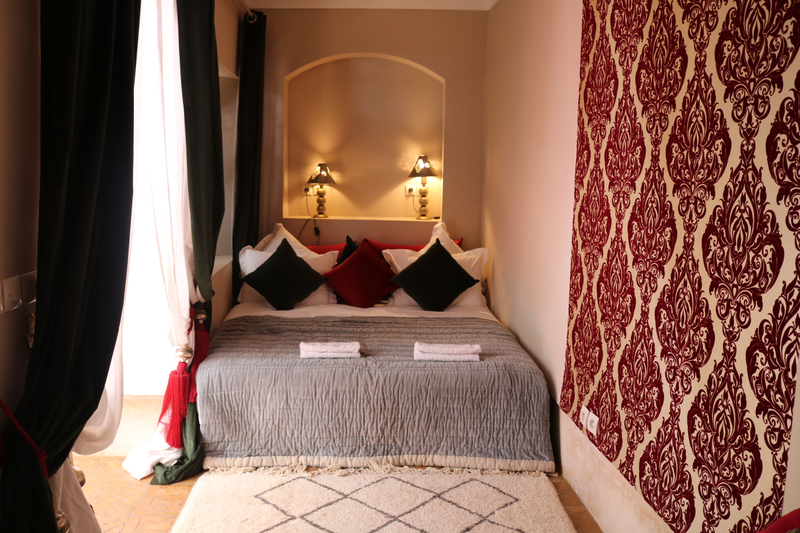 It has 5 spacious bedrooms with ensuites including a double salon ­that boasts a stunning ancient Douriya and an antique hand painted cupola ceiling and hand painted cedar wood ceilings. 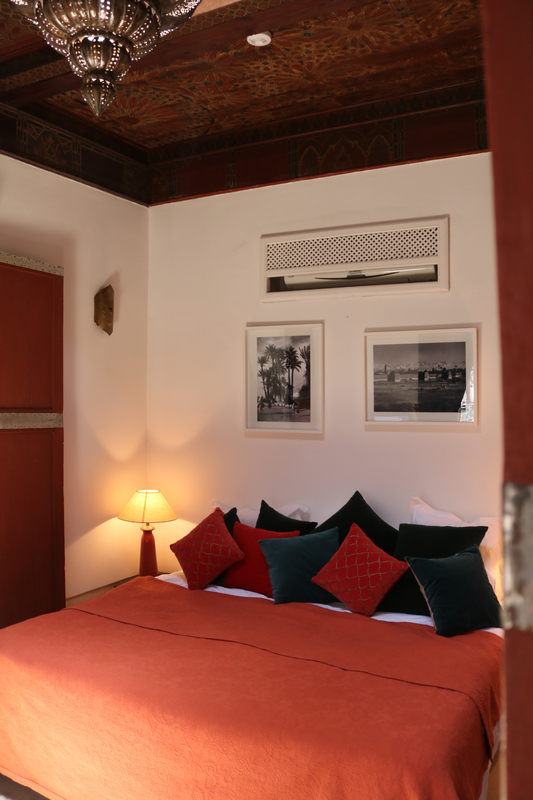 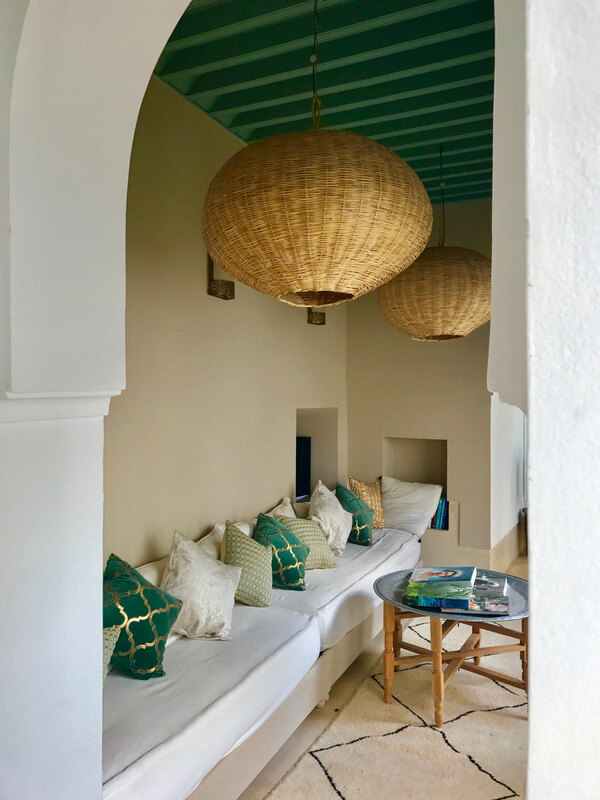 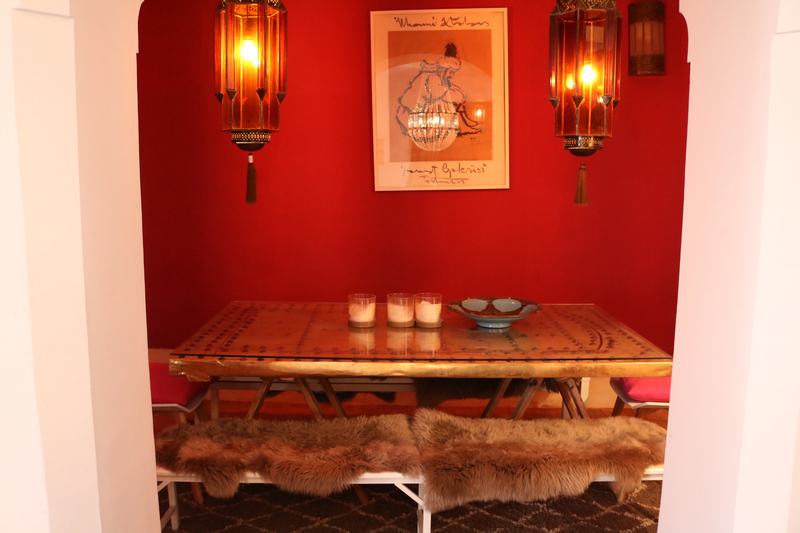 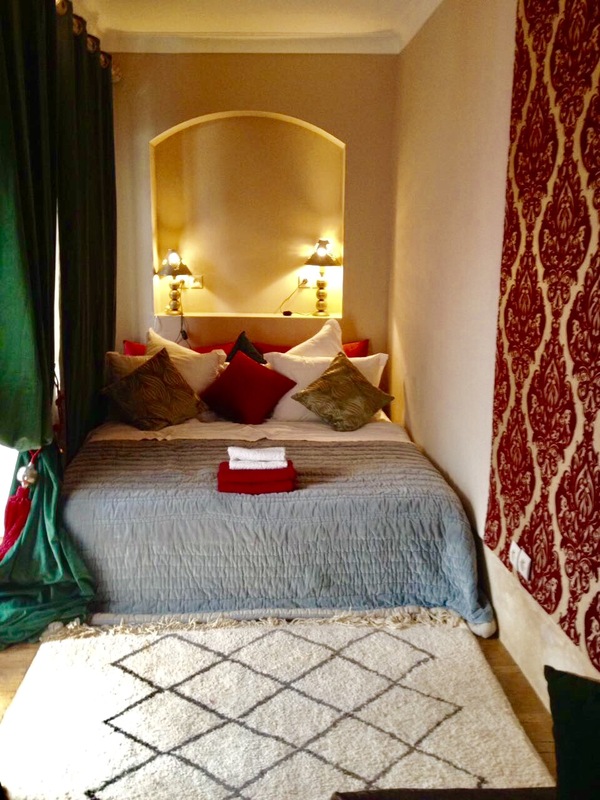 The property has original Ben Ouarain rugs (traditional Berber rugs from the high Atlas Mountains) in each room and it has a wealth of communal and relaxation spaces. 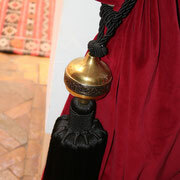 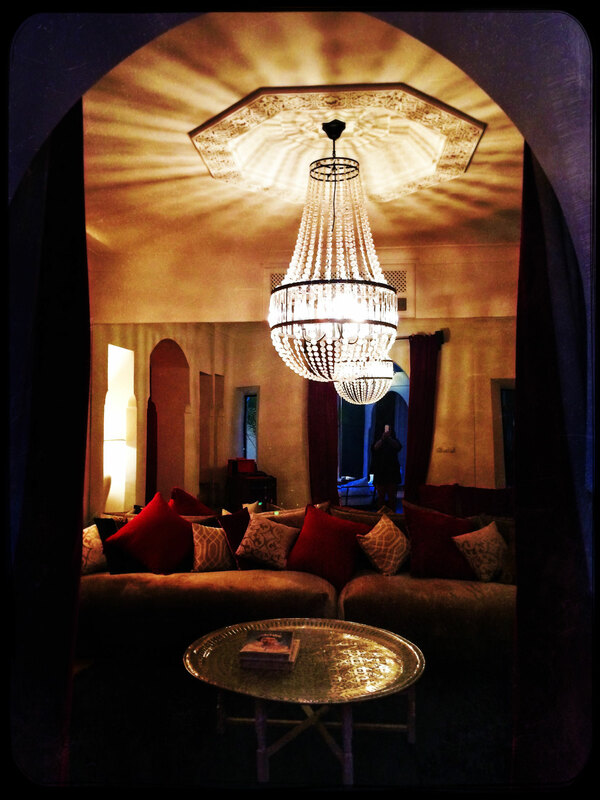 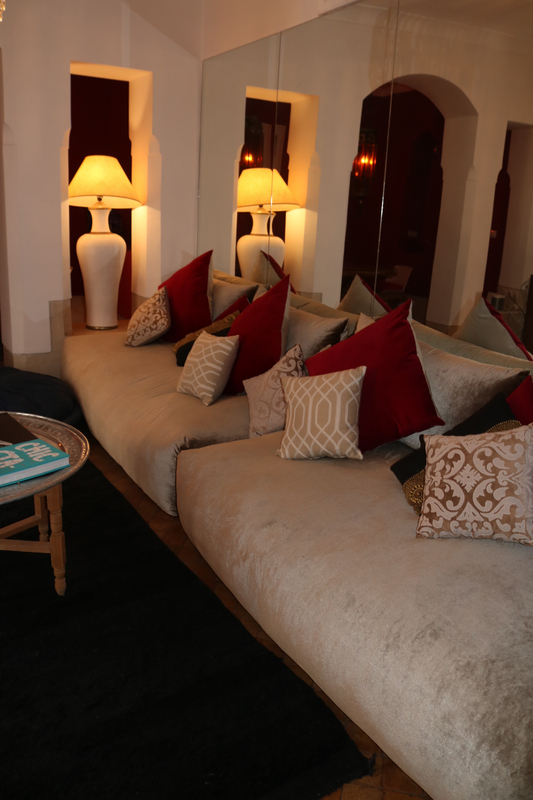 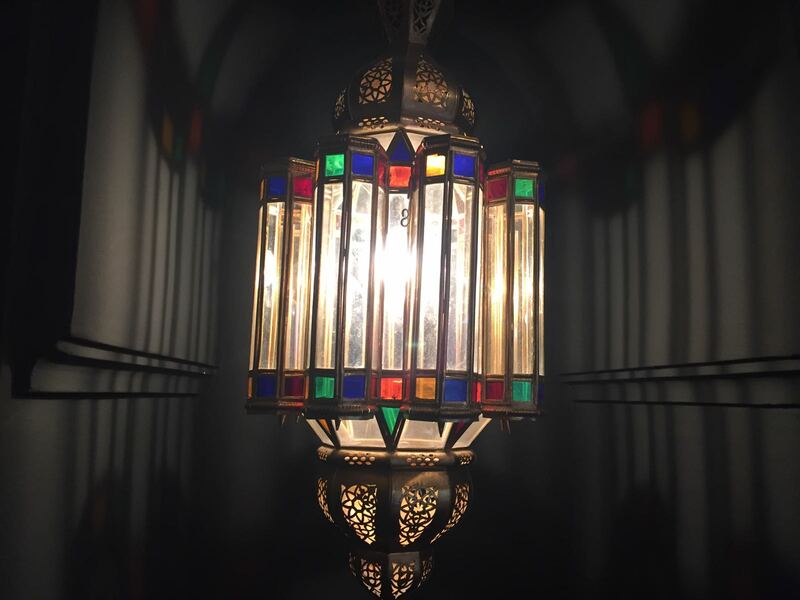 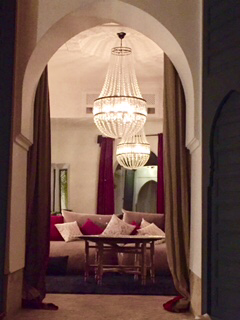 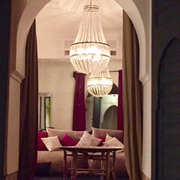 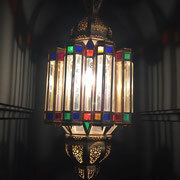 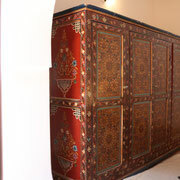 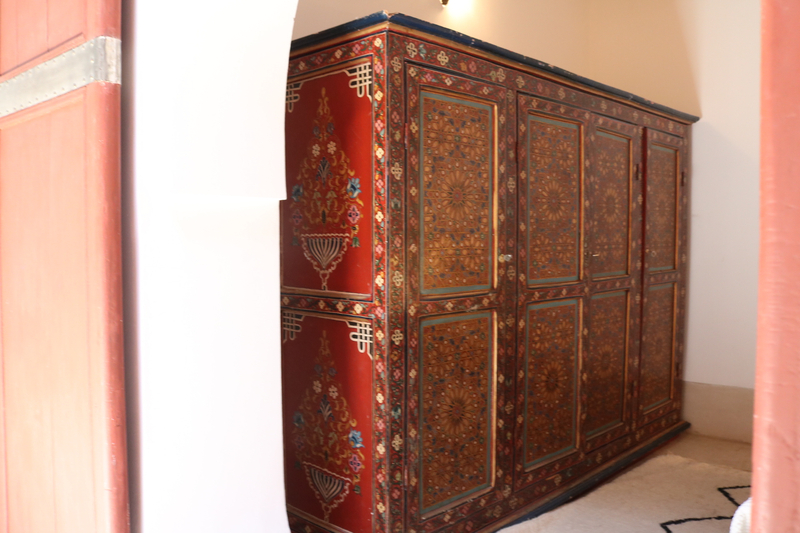 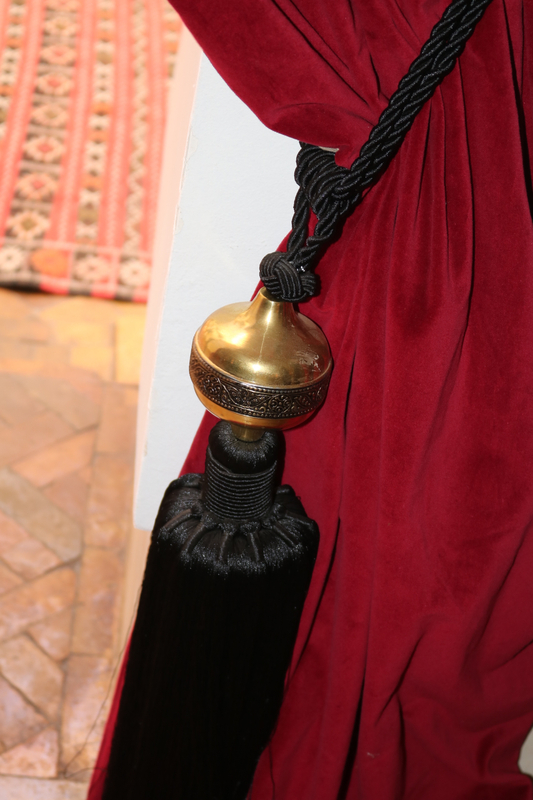 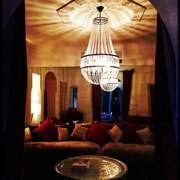 The salon (lounge) has a velvet 4 metre sofa, and has an original Moroccan ancient door, restored as the formal dining table and French crystal chandelier. 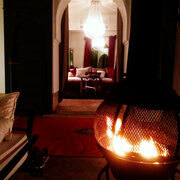 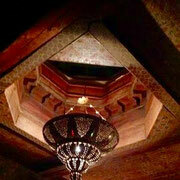 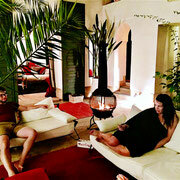 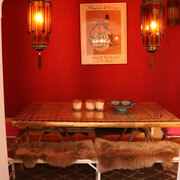 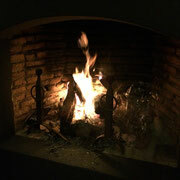 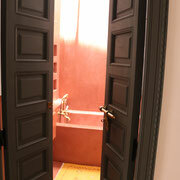 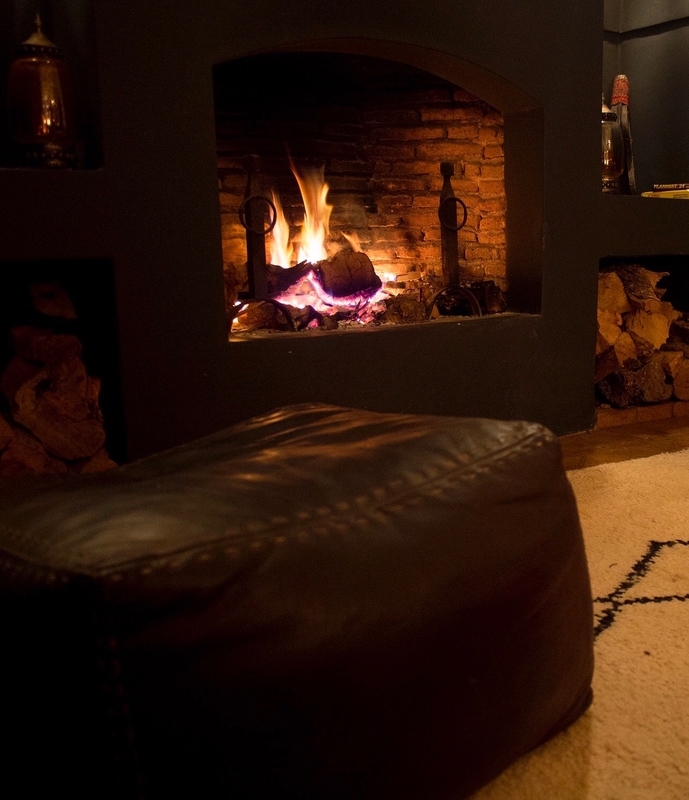 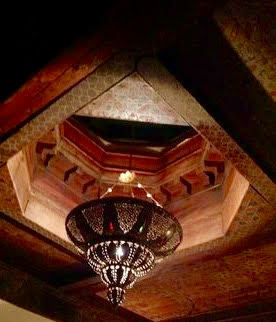 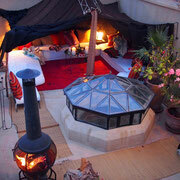 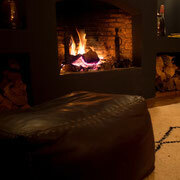 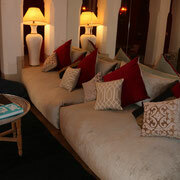 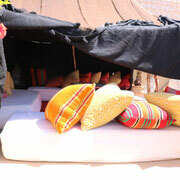 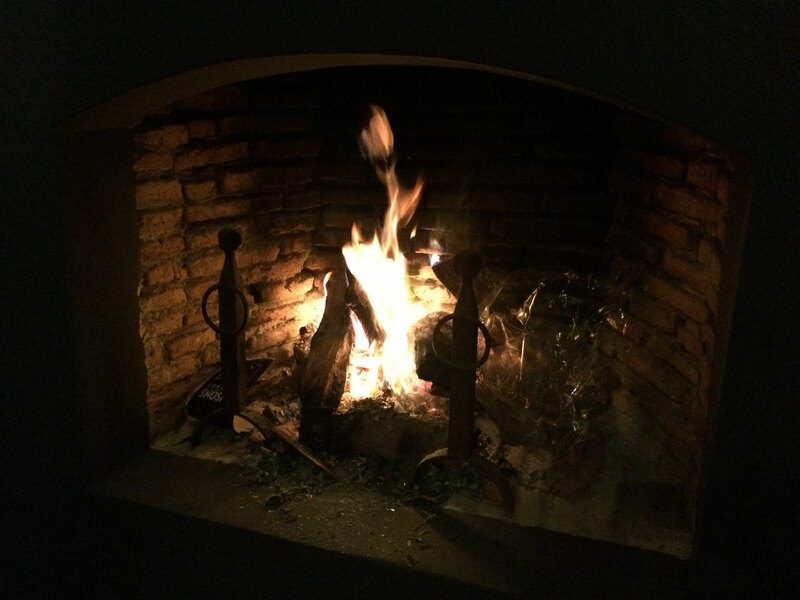 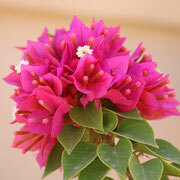 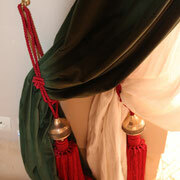 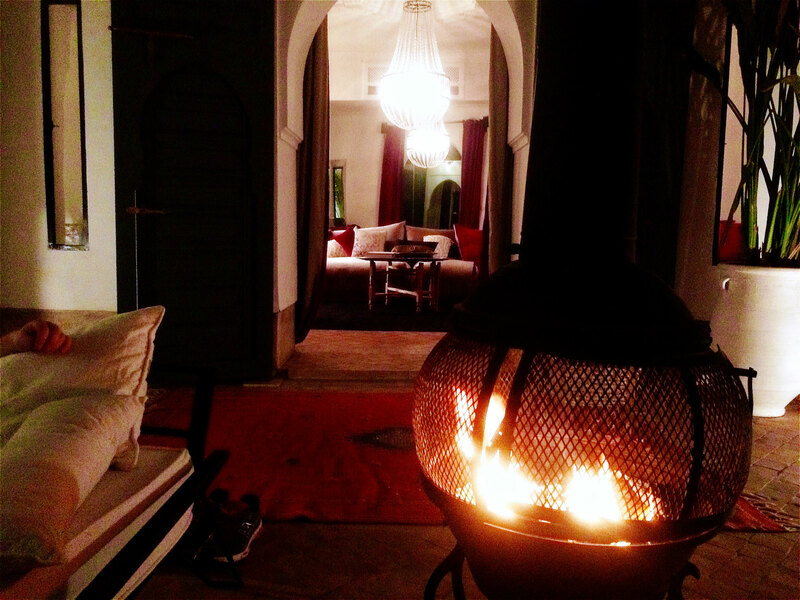 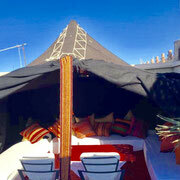 It is a winter and summer house and boasts a cosy fireplace in the salon and also chimeno fire in the courtyard. 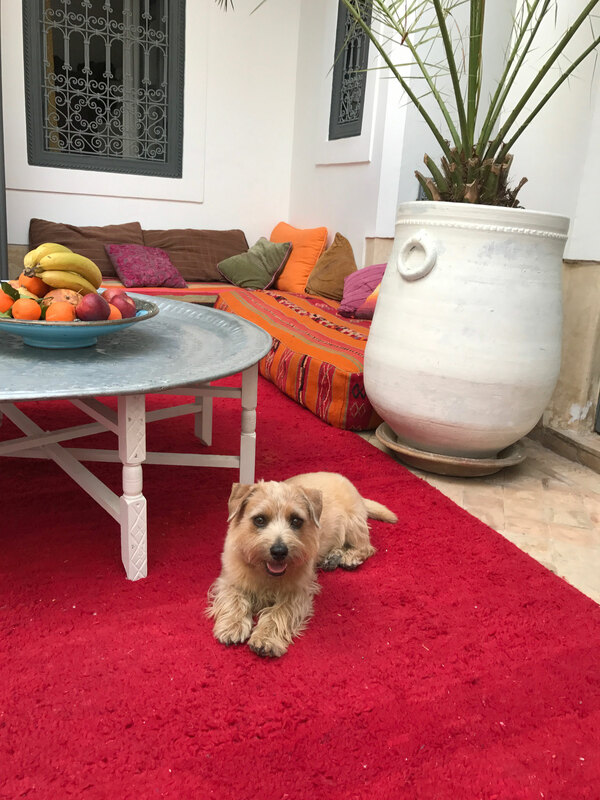 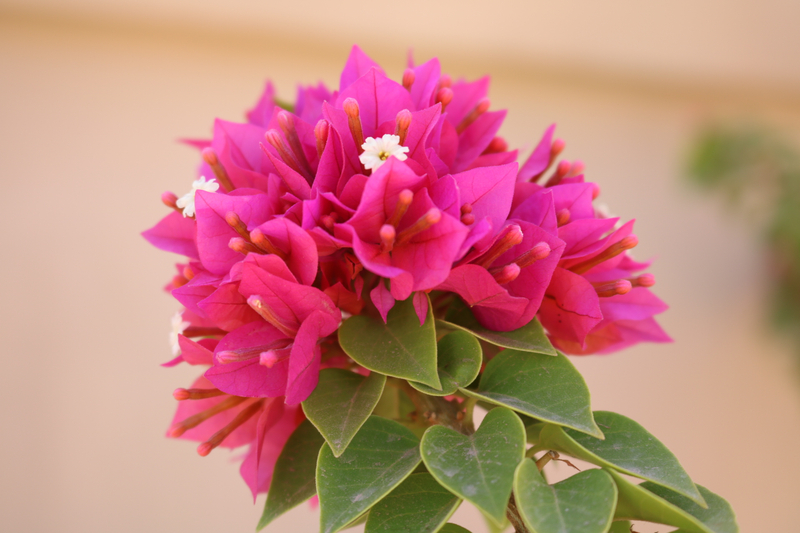 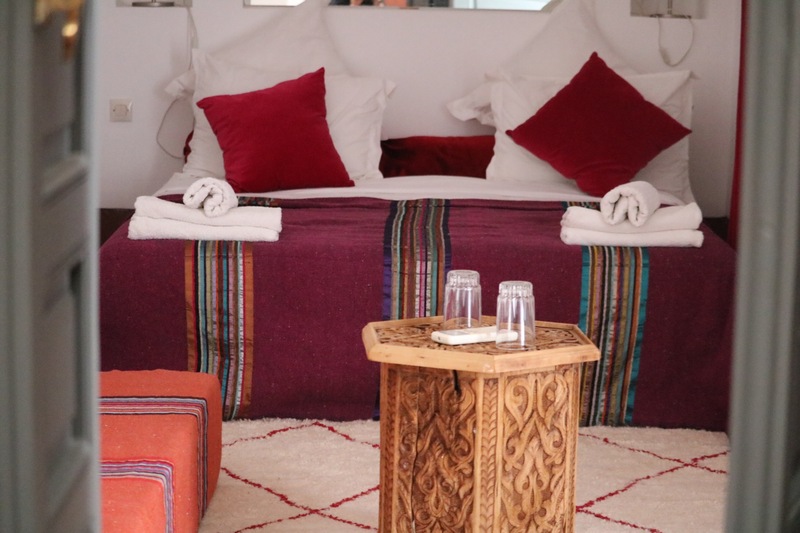 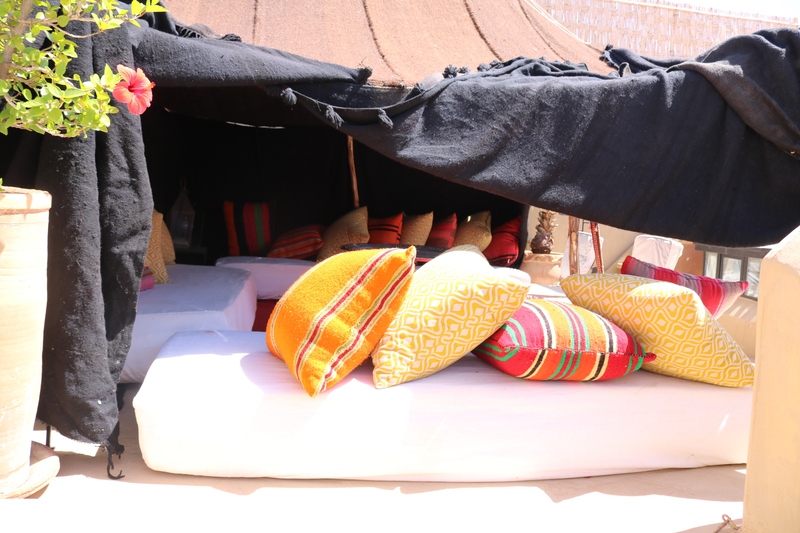 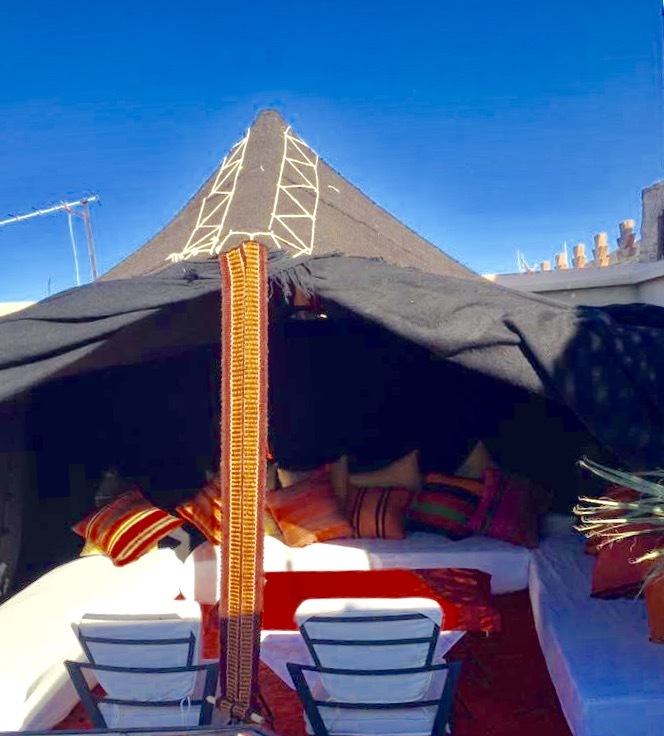 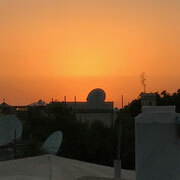 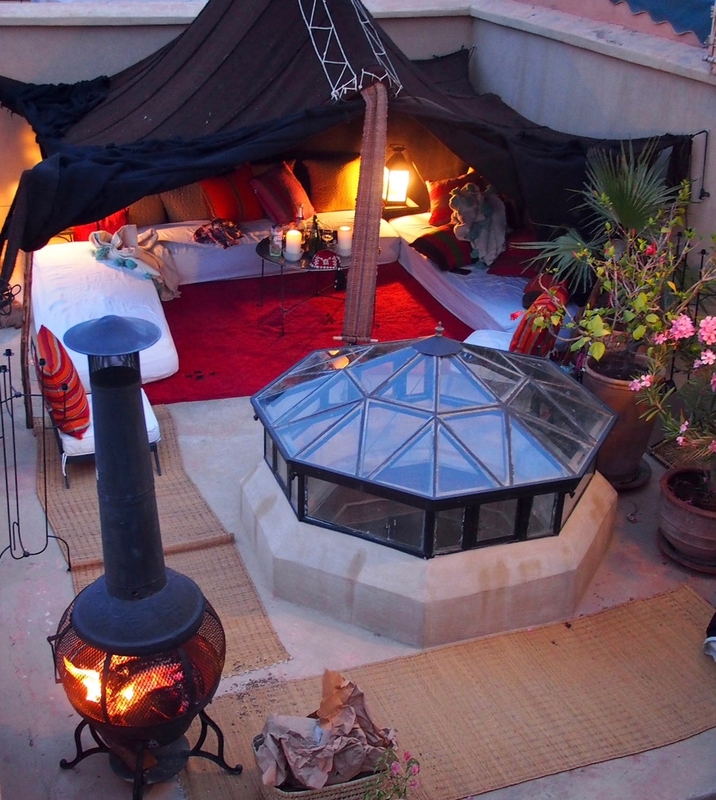 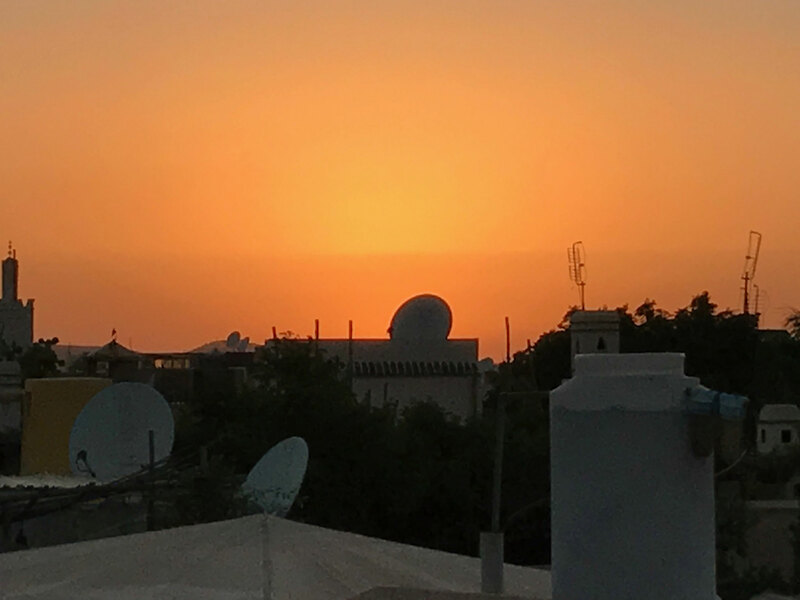 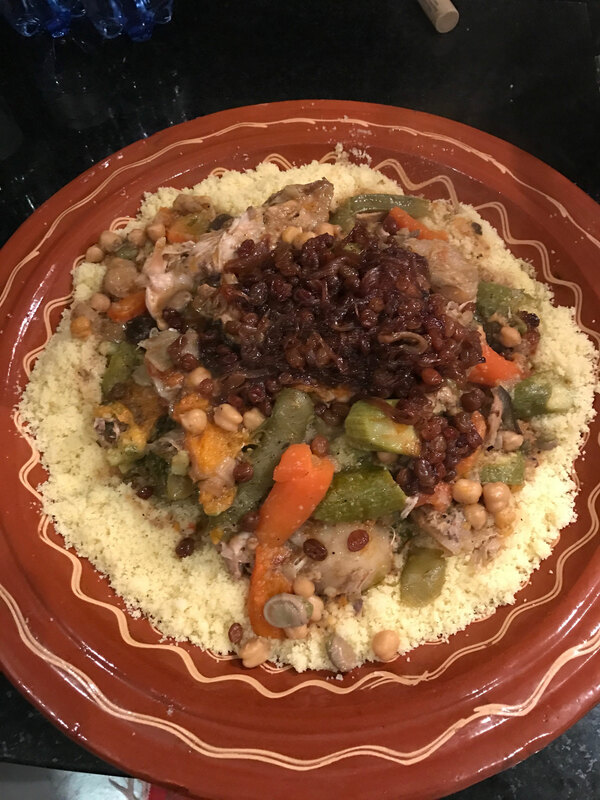 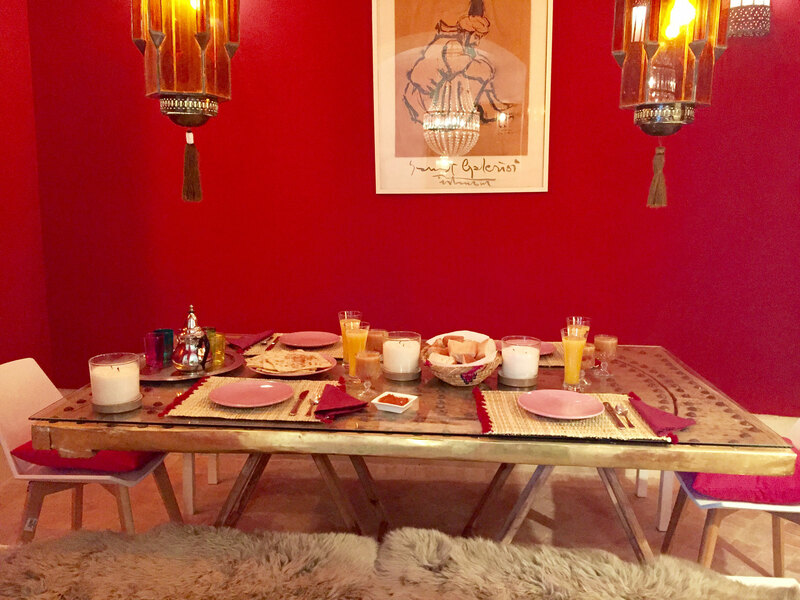 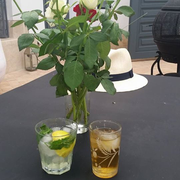 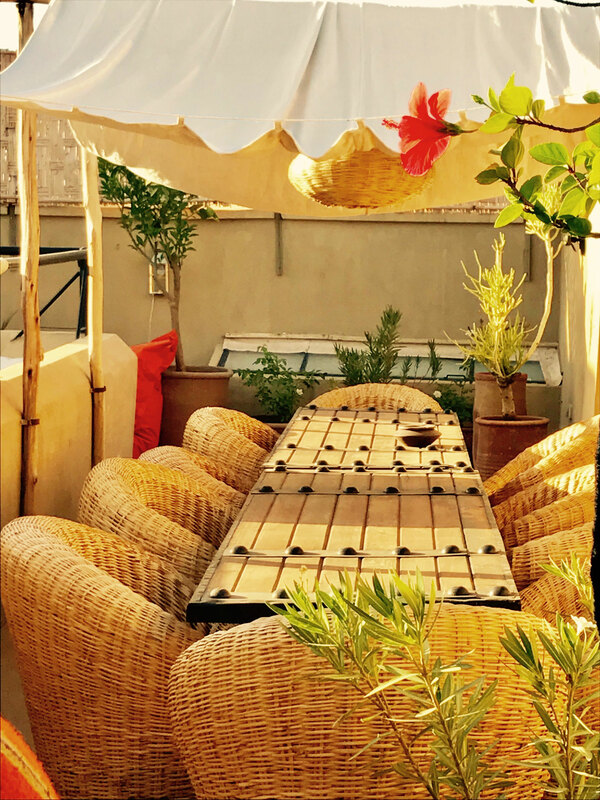 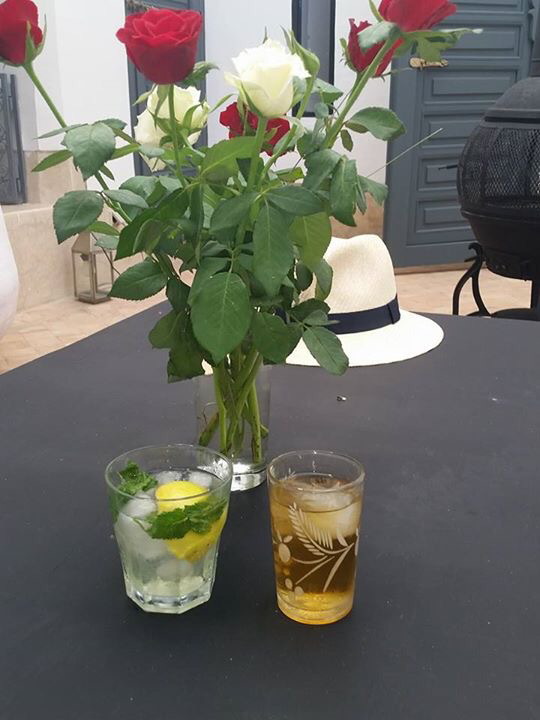 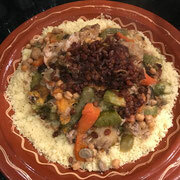 The house also benefits from a nice heated pool set off on one side of the courtyard and a large roof terrace that offers day beds and an entertaining area in a Bedouin tent and separate dining for 10, sun lounges and a barbecue (BBQ).